The situation: Your parents or grandparents need in-home care, and you are investigating all the options. You have spoken with a couple of senior home care companies, and you’ve calculated that it would be a lot cheaper if you advertised on a help-wanted website and hire someone yourself. Hiring and managing workers on their own is a tempting route for families in Toronto, where there are a lot of personal support workers (PSWs) who are willing to work privately. As providers of senior home care service, we at Retire-At-Home Services frequently have discussions with family caregivers about the pros and cons of retaining a company versus hiring and managing workers independently. We are often called by families who have tried to manage caregivers on their own, but are exhausted from it, and are now are ready for someone else to take over. 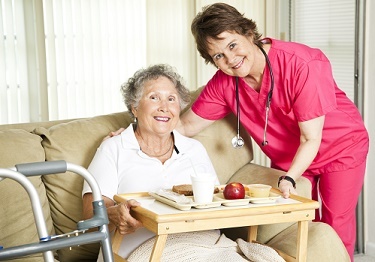 Unfortunately, families who go the private route often give up on homecare altogether because of the hassles involved in managing an employee, and so although they would really prefer for their loved ones to be cared for in their own homes, they end up putting them in a retirement residence or long-term care facility. In our experience, a family who is ready to bring in a caregiver to help with mom or dad has already reached a limit of exhaustion, and taking on the extra responsibilities of managing workers is not going to provide relief to the family caregiver. Finding, hiring, and managing caregivers are time-consuming, emotionally draining tasks. Low-paid workers often quit with little notice, and even a dedicated private caregiver will need occasional sick days, family leave, and vacation time. Either way, the family caregiver is left scrambling to find replacements. Listed below are some of the things families may want to consider when weighing up the options of going it alone with a self-hired caregiver, or hiring a company to help you out. Work involved for family Very Low. The company’s case manager supervises workers in the client’s home and the care being delivered to the client. The company handles staffing sick calls, substitute or backfill staffing, tracks hours, runs payroll, does scheduling. High. Family member must hire, fire, manage, supervise, track hours, handle payment, and look after loved one when the caregiver calls in sick. Tax deductible Yes. Nurse and attendant care are tax deductible medical expenses in Canada. A company will issue receipts for tax purposes. No. When a family hires an independent caregiver and pays them cash, it cannot be reported as a tax deductible medical expense. Many independent caregivers want to be paid cash under the table and will not provide a receipt. Low. A reputable senior home care company will carry liability insurance that can cover theft, accident, or injury on the job. At Retire-At-Home Services Toronto, we provide highly screened caregivers that have up-to-date criminal record checks, CPR certification, negative tuberculosis test results, and standardized qualifications. As well, if the caregiver should be injured on the job, we are covered through the Workplace Safety Insurance Board (WSIB). High. A family may not know how to screen a caregiver as thoroughly as a company does. A family has no recourse for theft, and could face a lawsuit if a caregiver were injured on the job. Staffing worries None. When a caregiver becomes sick or takes vacation there is no responsibility on the family to find and schedule a replacement. Retire-At-Home Services has plenty of qualified caregivers to backfill the position. Many. No matter how reliable a caregiver, there will be inevitable sickness, vacation requests, and requests for time off for appointments and emergencies. This is the single most difficult aspect of managing caregivers. Caregiver performance Continually Monitored. Home care companies have an automated phone service that caregivers use to clock in and out to track punctuality. At Retire-At-Home Services Toronto, our caregivers call in to report throughout the night so that our case manager knows what is happening in the home.Performance of the caregiver is monitored and supervised. Any changes that need to be made are done through the case manager so it is not awkward for the family. Up To You. When hiring an independent worker, it is up to the family to manage the caregivers’ time tracking, reporting, and caregiver performance. Payroll and continued training All-Inclusive. Retire-At-Home Services looks after all payroll responsibilities. We issue T4s for income tax filing and Records of Employment (ROEs) when caregivers leave employment and want to collect Employment Insurance benefits.We deduct caregivers’ pay for federal income tax and Canada Pension Plan (CPP), and we make employers’ tax contributions. We are also fully registered with WSIB to protect the caregiver in case they hurt themselves on the job.We provide continual training for the caregiver to ensure that their skills are fresh and that they are fully engaged in their work. Not Included. For a family caregiver who is already overloaded with caregiving, looking after payroll and staffing issues is another job to add to the responsibilities. A family can try to manage a payroll, but it is cumbersome and involves never-ending problems. Access to experts Yes. We have nurses, social workers, and specialized “coaches” for conditions like Alzheimer’s disease who will manage the care of your family member. They are available for advice and consultation at no extra cost to clients already receiving our Personal Support Worker (PSW) service. No. It is up to the family to reach out to the community and employ experts on their own. Hiring and replacing No responsibility for family. Some caregivers are a better “fit” with a family than others. If a family wants to try a new caregiver, or wants to make more use of a particular caregiver, we handle all the recruiting, interviewing, hiring, orientation, and scheduling. You never need to have an awkward conversation with a carer who for whatever reason isn’t working out. Large responsibility for family. Hiring, screening and training a new caregiver is time consuming. Asking a caregiver to leave the job can be very stressful for both the caregiver and the family when the family is doing it alone. 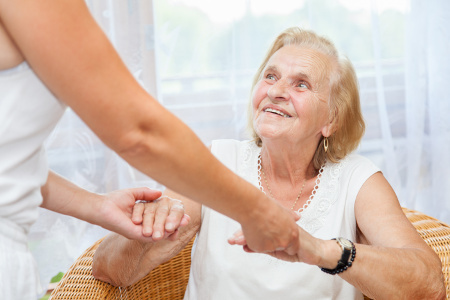 From an American perspective, here are a few more benefits of hiring a homecare company.